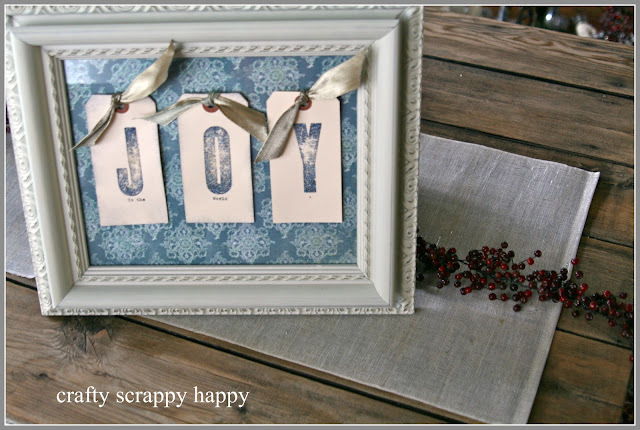 Crafty, Scrappy, Happy: Find the JOY in every Christmas moment. Find the JOY in every Christmas moment. How was your week leading up to the big holiday?! and that means that there will be a little bloggy break in store for me. 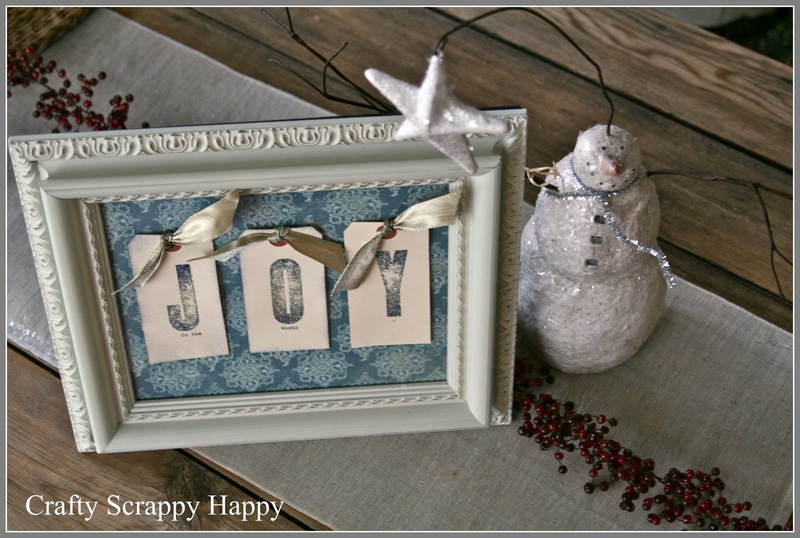 I am excited to share my sweet and simple FINAL Christmas craft with you! All I did was stamp the JOY with normal ink followed by the clear versa mark ink. 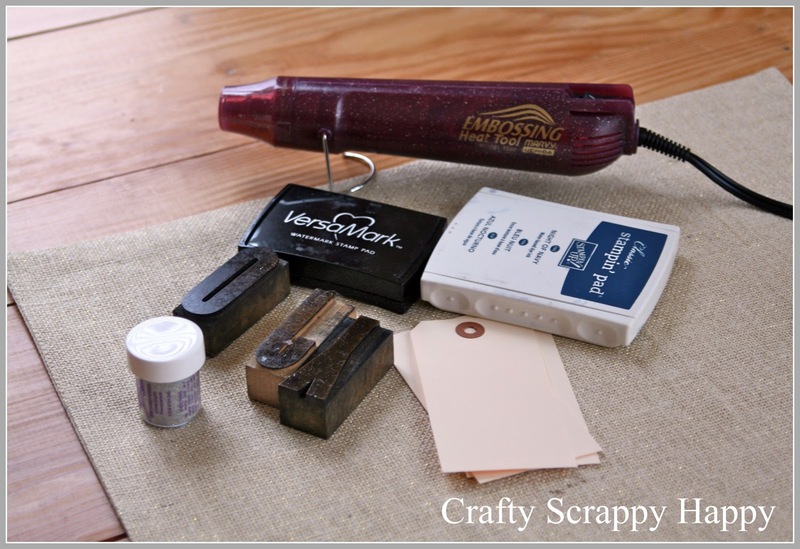 Then sprinkle on embossing powder and heat it with the embossing tool until you have a nice shiny sheen to your letters! I then added "joy to the world" under the JOY big letters with my typewriter---just because anything I make with my typewriter makes me super happy. 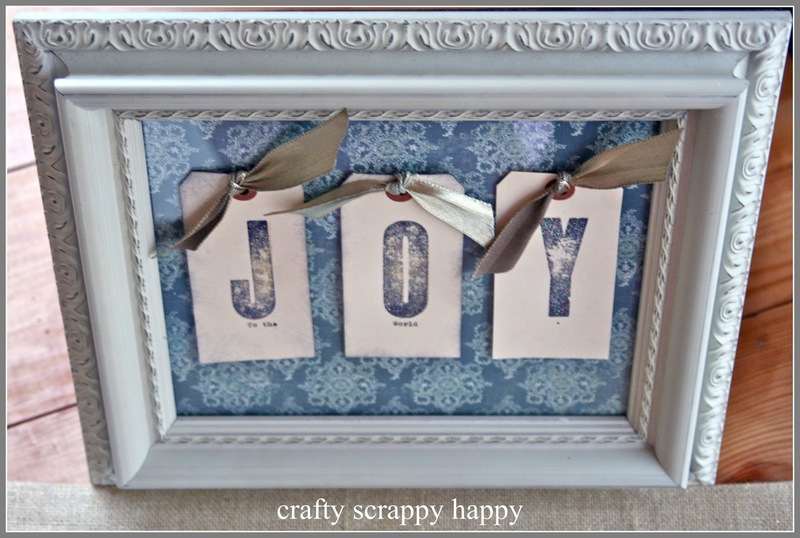 Then I just added ribbon, to the tags and just stuck the tags to the glass of the frame with glue dots! I think that is what holiday decor is all about! & please know how very THANKFUL I am for each and every one of you-my blog friends NOW and ALWAYS! So cute & easy. Love it! So beautiful and simple! Merry Christmas! So simple and sweet just like you. Safe travels as you make your way home. Merry Christmas, my dear friend, Jaime, to you and yours! If I don't read you soon, Happy New Year, too! Very beautiful friend! Have a wonderful Christmas! Sooo cute!! I wish I had an old typewriter, it'd make me super happy too!! very pretty! love the way it turned out! You're such a creative person, i love your ideas and art..Very cute. Oh, you make it look so simple :) I love it, and JOY is the perfect way to describe this Christmas for our family too! I hope you had a great Christmas!